Produced in Brazil, Yaguara is the first white blended organic cachaça in the world. It is the crowning glory of a fifth generation family tradition and the result of an ambition to create the world’s finest white blended cachaça. The final product is handcrafted, distilled in small batches and blended under the watchful eye of Brazilian Yaguara master blender: Erwin Weimann. The result is a modern spirit, crafted to place cachaça — distilled from fresh sugar cane — where it belongs: amongst the finest white spirits in the world and as the perfect base for great cocktails, limited only by the skills of the bartender. 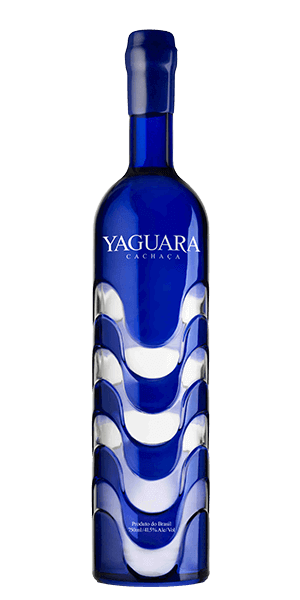 Yaguara aims to push the boundaries of cachaça and enhance the category’s reputation on the global stage with its unique taste profile and striking bottle. This marriage of tradition and modernity is also mirrored in the bottle, designed to stand out in cocktail bars around the world. The bottle design created by Brian Clarke, one of the world’s leading glass artists is inspired by the ancient Roman pattern made famous by Roberto Burle Marx on the Copacabana Promenade. What does Yaguara Cachaça taste like? The Flavor Spiral™ shows the most common flavors that you'll taste in Yaguara Cachaça and gives you a chance to have a taste of it before actually tasting it.